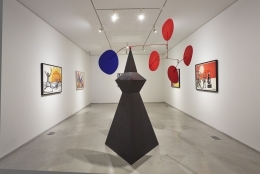 Kukje Gallery is pleased to announce the opening of Alexander Calder Jewelry, a very special solo exhibition devoted to the artwork and singular vision of one of the twentieth century's most revered artists. 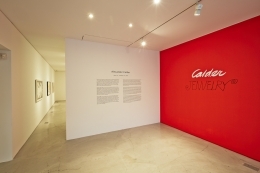 While best known as a sculptor of his signature mobiles and stabiles, Calder is equally renowned for his work as a painter and jeweler. 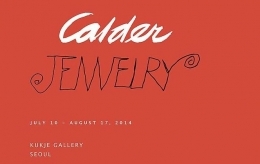 Indeed, jewelry—more aptly termed "wearable art"—was a central element in Calder's practice throughout his life. 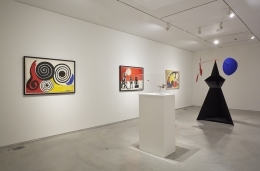 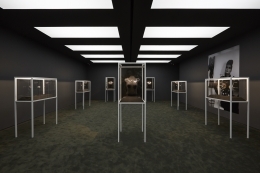 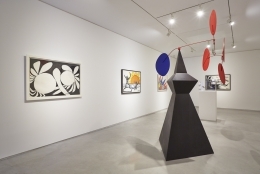 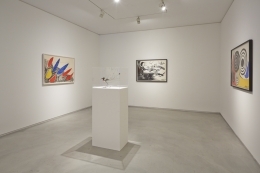 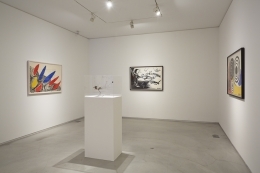 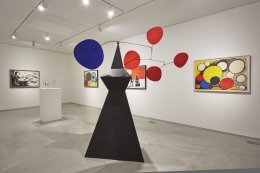 The exhibit at Kukje, curated with the assistance of the Calder Foundation, centers around Calder's many exquisite examples of wearable art along with works on paper, toys, and sculptures. 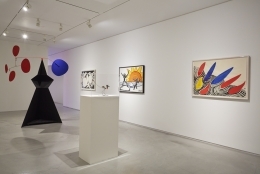 Together, this eclectic exhibition showcases the artist's iconic themes and renews our appreciation for his conceptual breadth and formal ingenuity. 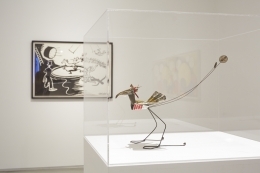 Made from materials as diverse as steel, silver and gold wire, and shards of glass, Calder's many wearable artworks shed light on and inform his work in sculpture and other media. 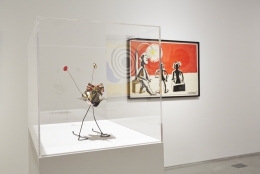 The material mastery that defines his mobiles and wire sculpture is at work in his huge repertoire, including paintings and drawings, toys, and bracelets, necklaces, brooches, and earrings. 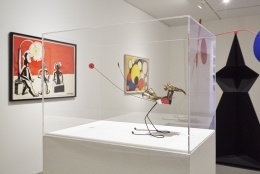 The deceptively simple techniques for shaping wire and other prosaic materials used by Calder can be seen as a kind of conceptual framework and emotional foundation for much of what defined his life's work: themes of play, formal elegy, physical movement, and the magic of metamorphosis. 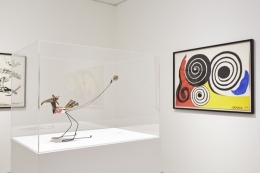 These different but complementary vocabularies can be seen in many of Calder's signature motifs such as the spiral and his exquisite use of balanced forms, his celebration and framing of fragments, and his uncanny ability to encompass the wearer's own body as part of the work. 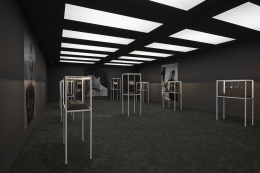 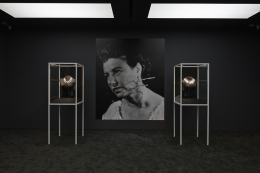 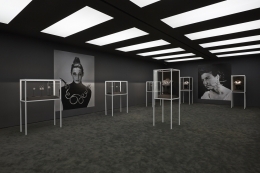 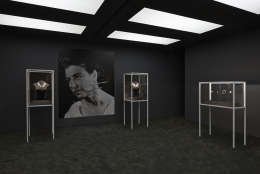 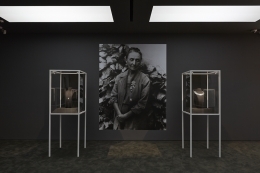 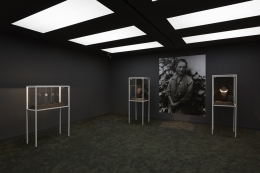 It is no surprise that Calder's jewelry was from the very onset wildly popular and worn by some of the most fashionable and forward-thinking artists and women of society. 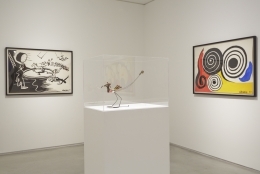 From the 1920s onward, friends such as Georgia O'Keeffe and collectors such as Peggy Guggenheim, as well as fashion models and movie stars, all clamored and sometimes risked injury to wear and be framed by Calder's visionary objects. 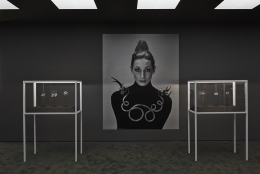 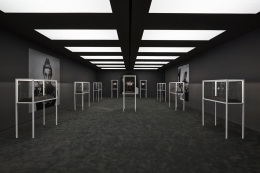 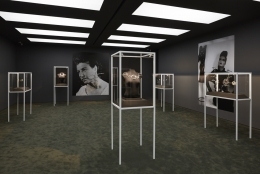 The central role of the body is highlighted in Kukje's exhibition design, which includes large-scale historic photographs of these personalities modeling Calder's wearable art — powerful images that reconnect the sculptures to his love of performance and the marvelous power of kinetic art. 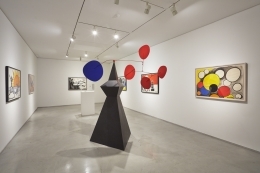 Together, the works on paper, jewelry, sculpture, and toys in Alexander Calder Jewelry renew our appreciation for the power and dynamism of one of the twentieth century's most important artists.